This course provides a brisk, challenging, and dynamic treatment of differential and integral calculus, with an emphasis on conceptual understanding and applications to the engineering, physical, and social sciences. This course teaches a calculus that enables precise quantitative predictions of large combinatorial structures. Part I covers generating functions and real asymptotics and then introduces the symbolic method in the context of applications in the analysis of algorithms and basic structures such as permutations, trees, strings, words, and mappings. This course teaches a calculus that enables precise quantitative predictions of large combinatorial structures. Understanding how the brain works is one of the fundamental challenges in science today. This course will introduce you to basic computational techniques for analyzing, modeling, and understanding the behavior of cells and circuits in the brain. You do not need to have any prior background in neuroscience to take this course. An introduction to dynamical modeling techniques used in contemporary Systems Biology research. Learn the concepts and methods of linear algebra, and how to use them to think about computational problems arising in computer science. Coursework includes building on the concepts to write small programs and run them on real data. The course is an introduction to linear and discrete optimization - an important part of computational mathematics with a wide range of applications in many areas of everyday life. Calculus One is a first introduction to differential and integral calculus, emphasizing engaging examples from everyday life. Solving and writing algebraic ratios and proportions. Solving rational equations. 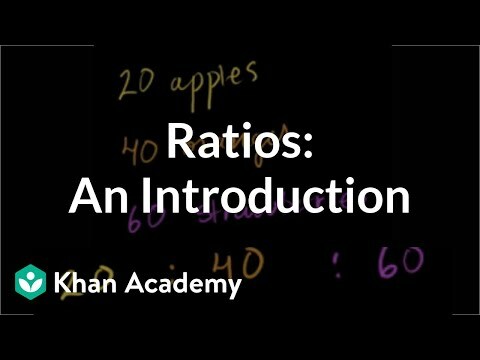 Introduction to Ratios (new HD version). Understanding Proportions. Ratios as Fractions in Simplest Form. Simplifying Rates and Ratios. Find an Unknown in a Proportion. Ratio and Proportion. Find an Unknown in a Proportion 2. Another Take on the Rate Problem. Finding Unit Rates. Finding Unit Prices. Writing Proportions. Ratio problem with basic algebra (new HD). More advanced ratio problem--with Algebra (HD version). Alternate Solution to Ratio Problem (HD Version). Advanced ratio problems. Unit conversion. Conversion between metric units. Converting within the metric system. Converting pounds to ounces. Converting Gallons to quarts pints and cups. Converting Farenheit to Celsius. Comparing Celsius and Farenheit temperature scales. Applying the Metric System. U.S. Customary and Metric units. Converting Yards into Inches. Unit Conversion with Fractions. Performing arithmetic calculations on units of volume. Application problems involving units of weight. Solving application problems involving units of volume. Unit Conversion Example: Drug Dosage. Perimeter and Unit Conversion. Rational Equations. Solving Rational Equations 1. Solving Rational Equations 2. Solving Rational Equations 3. Applying Rational Equations 1. Applying Rational Equations 2. Applying Rational Equations 3. Extraneous Solutions to Rational Equations. Rational Inequalities 2. Solving exponential and radical expressions and equations. Using scientific notation and significant figures. Understanding Exponents. 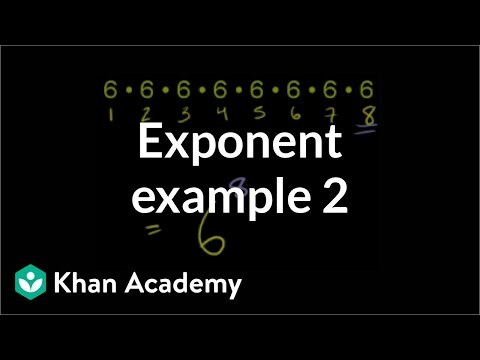 Understanding Exponents 2. Exponent Rules 1. Exponent Rules 2. Level 1 Exponents. Level 2 Exponents. Negative Exponent Intuition. Zero, Negative, and Fractional Exponents. Level 3 exponents. Exponent Rules Part 1. Exponent Rules Part 2. Exponent Properties 1. Exponent Properties 2. Exponent Properties 3. Exponent Properties 4. Exponent Properties 5. Exponent Properties 6. Exponent Properties 7. Exponent Properties Involving Products. Negative and Positive Exponents. Exponent Properties Involving Quotients. Rational Exponents and Exponent Laws. More Rational Exponents and Exponent Laws. Simplifying Expressions with Exponents. Multiplying and Dividing Rational Expressions 1. Multiplying and Dividing Rational Expressions 2. Multiplying and Dividing Rational Expressions 3. Simplifying Expressions with Exponents 2. Simplifying Expressions with Exponents 3. Fractional Exponent Expressions 1. Fractional Exponent Expressions 2. Fractional Exponent Expressions 3. Pythagorean Theorem 1. Pythagorean Theorem 2. Pythagorean Theorem 3. Evaluating exponential expressions. Evaluating exponential expressions 2. Evaluating exponential expressions 3. Scientific notation 1. Scientific notation 2. Scientific notation 3. Scientific Notation I. Scientific Notation Example 2. Scientific Notation 3 (new). Scientific Notation Examples. Multiplying in Scientific Notation. Significant Figures. More on Significant Figures. Addition and Subtraction with Significant Figures. Multiplying and Dividing with Significant Figures. Understanding Square Roots. Approximating Square Roots. Square Roots and Real Numbers. Simplifying Square Roots. Simplifying Square Roots Comment Response. Finding Cube Roots. Simplifying Cube Roots. Radical Equivalent to Rational Exponents. Radical Equivalent to Rational Exponents 2. Simplifying radicals. Simplifying Radical Expressions1. Simplifying Radical Expressions 2. Simplifying Radical Expressions 3. More Simplifying Radical Expressions. Radical Expressions with Higher Roots. Adding and Simplifying Radicals. Subtracting and Simplifying Radicals. Adding and Subtracting Rational Expressions. Multiply and Simplify a Radical Expression 1. Multiply and Simplify a Radical Expression 2. How to Rationalize a Denominator. Solving Radical Equations. Extraneous Solutions to Radical Equations. Solving Radical Equations 1. Solving Radical Equations 2. Solving Radical Equations 3. Applying Radical Equations 1. Applying Radical Equations 2. Applying Radical Equations 3.